One of the major criticisms of Funcom's Age of Conan when the MMORPG first launched was a considerable lack of high-end content. Now the developer addresses that issue directly with the release of the largest gameplay content addition since the game went live. The update introduces a huge new outdoor area, Ymir's Pass, that promises loads of new quests, new characters, new enemies, and a new storyline to follow along with. Also going live with the update is new dungeon The Amphitheater, that's supposed to hold "the most epic and memorable monster encounters ever created for the game." "This is an important update that opens up a lot of new gameplay content for players who have already passed the level fifty mark," says Game Director Craig Morrison. "In the months ahead we will introduce even more new content, and coming up soon are two exciting new high-level dungeons intended for players who have reached the maximum level. At this stage adding more content and keeping people entertained is very important to us!" See! They want to make it all better again! Hit the jump for screens from the new update, now live on all servers. Major Content Update For Age of Conan Now Live! – New update introduces new land area, a new dungeon, new quests and hours of more adventure – Durham, USA – November 14th, 2008 – This week Funcom updated the ‘Age of Conan: Hyborian Adventures’ live servers with the largest gameplay content addition since launch. By visiting the vast, new outdoor area of Ymir’s Pass players will now be able to find new quests to solve, new characters to meet, new monsters to slay and a dramatic new storyline to unravel. The update also includes a new dungeon – The Amphitheater – that holds one of the most epic and memorable monster encounters ever created for the game. "This is an important update that opens up a lot of new gameplay content for players who have already passed the level fifty mark," says Game Director Craig Morrison. "In the months ahead we will introduce even more new content, and coming up soon are two exciting new high-level dungeons intended for players who have reached the maximum level. At this stage adding more content and keeping people entertained is very important to us!" This free update is available to all ‘Age of Conan: Hyborian Adventures’ subscribers and the content will be downloaded automatically when launching the game. 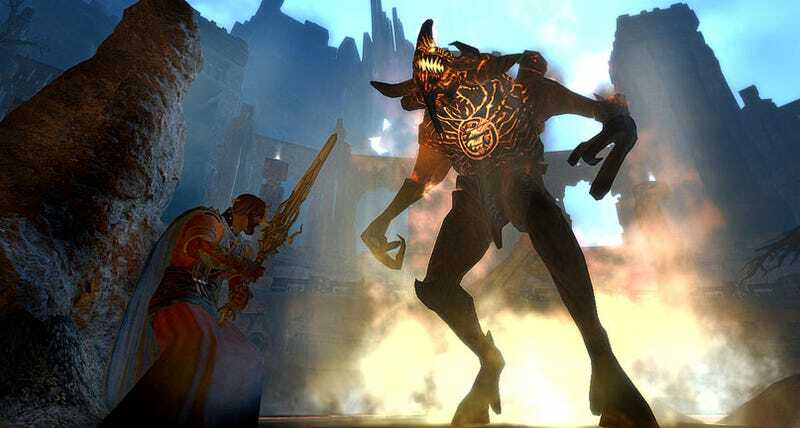 In the months following the launch of the game, Funcom has addressed several of the key concerns voiced by the players and have also added a series of new content and features. Recently the live servers received a major update to the player-versus-player part of the game, allowing players to become criminals based on their actions when battling other players. New armor, weapons and other content have also been added, and from a technical perspective the game has also seen major improvements in terms of stability and performance. Funcom remains determined to keep updating and improving the game, and will keep players posted on the updates that are planned in the months ahead. ‘Age of Conan’ launched in May this year and immediately topped sales charts around the world. It has received more than thirty magazine covers and more than fifteen major awards, including numerous "Best MMO of E3" awards and the "Best Online Game of Show" award at GC 2007. The game has received numerous glowing reviews, including a 9.4 score from US website GameZone. ‘Age of Conan’ is a key title in Microsoft's Games for Windows line-up, as well as a showcase title for nVidia thanks to its jaw-dropping graphics. For more information on the game and instructions on how to order your copy today, visit www.ageofconan.com.